Math end of grade tests for kids, pre-kindergarten to 7th grade, exam type activities, test all math skills children, placement test for teachers, math topics during holidays, end of level math test, placement test. 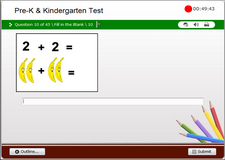 Free math end of grade tests for kids from pre-kindergarten to 7th grade. 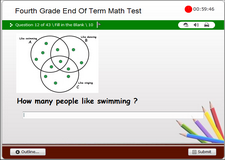 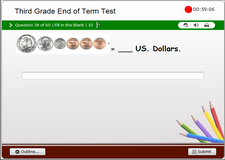 These are exam type activities, designed to test all math skills children learnt while at a particular grade. 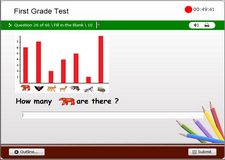 It is also a suitable placement test for parents and teachers to determine the strengths and weaknesses of their kids. 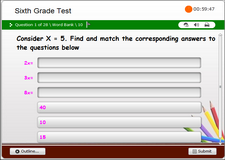 These tests are good at the end of each grade to test kids on different math topics or during holidays, for kids preparing to change grade. 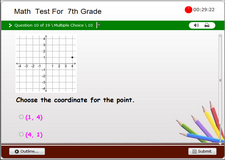 Let your kids (kindergarten kids, 1st graders, 2nd graders, 3rd graders, 4th graders, 5th graders, 6th graders and 7th graders) challenge themselves with an end of level math test or a placement test to determine how ready they are for the next grade. 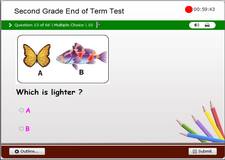 Click on to take a level test below.